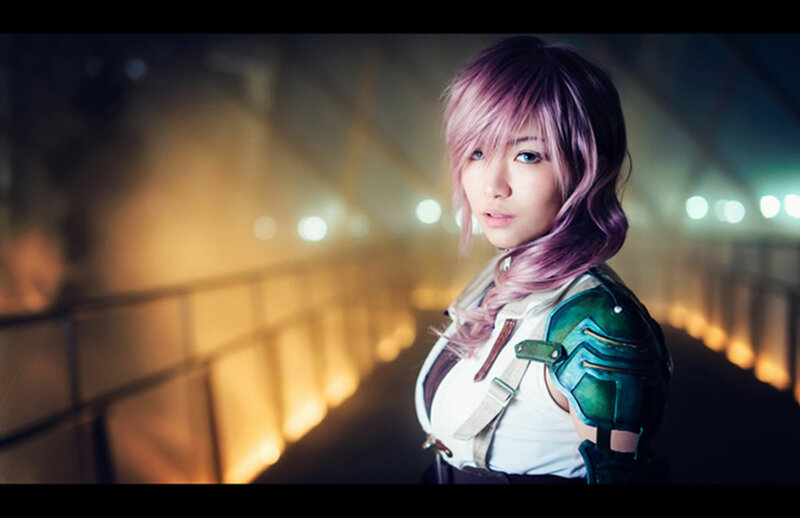 Ever since she debuted her cosplay of Lightning from Final Fantasy XIII-2, local cosplayer Rainer has definitely stolen lots of hearts (especially a certain POPCulture Online’s member’s heart). Renowned for her mesmerizing cosplays from games, transformative makeup and not forgetting her well detailed self made props and costumes, local cosplayer Rainer has had a following of fans far and wide. 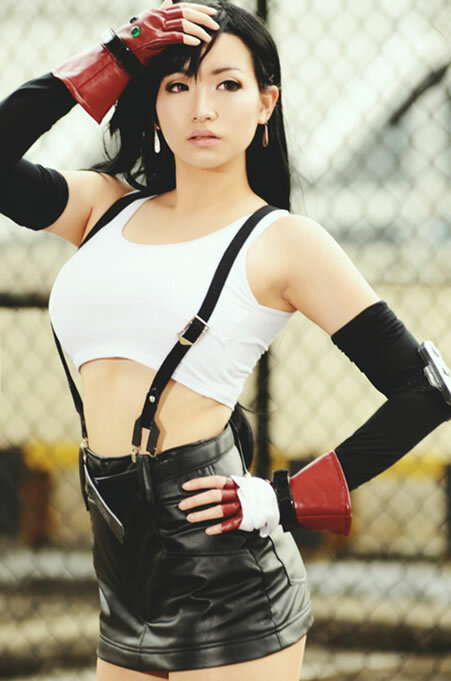 Being this popular, she has definitely done many interviews about her cosplay but ever wondered what goes on behind that costume? Well our very own Ken Koh (who was “Highly Encouraged” by the one whose heart was stolen) moved heaven and earth to find out the lighter side of her. 1. 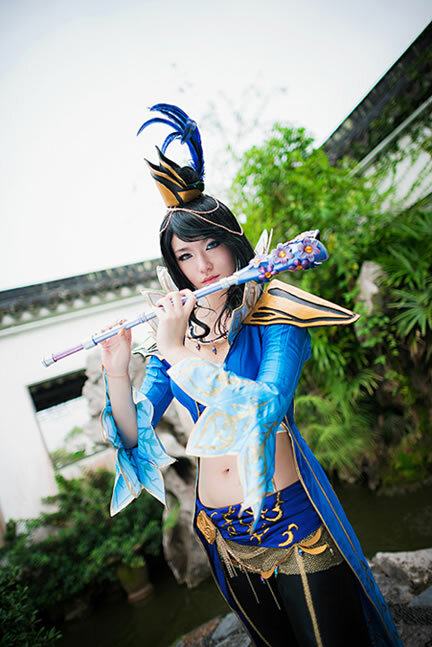 How did you pick up cosplaying? Any influences from anybody? I attended an IT show a long, long time ago, and I happened to see a few cosplayers there. I didn’t know anything about the hobby at the time, but I decided to give it a shot together with a friend of mine from school. 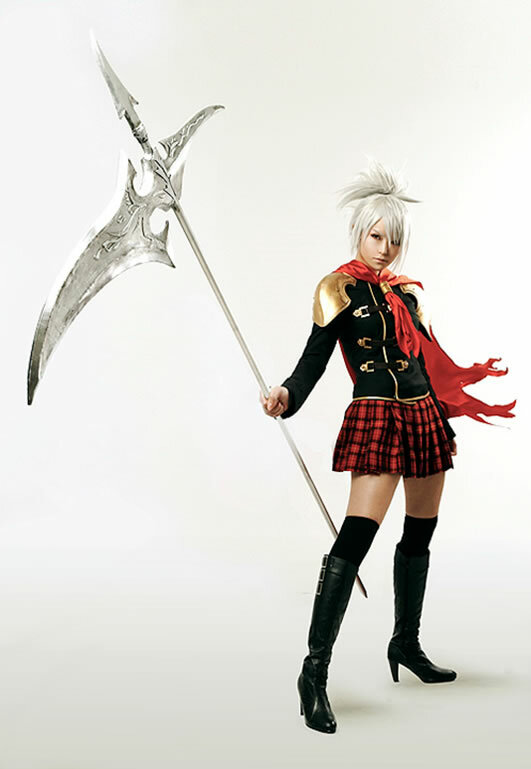 I first cosplayed at Cosfest 2006, and the rest is history. Actually I don’t think there’s a particular “type” of character that I tend to cosplay.. I just go through a series, and if I feel like I want to cosplay a certain character, I end up doing it. I think I’ve done quite a wide variety of characters, and I end up liking all of them anyway, regardless of whatever character archetype they fall under. My main project this year is Heavenly Sword’s protagonist, Nariko. It’s an idea I’ve been tossing around for some time, but I never decided that I actually wanted to do it till recently. It’s a project that incorporates a lot of the things I like about cosplay and costuming – printed fabric, oriental scrollwork and detailing, badass, elaborate multi-form sword, and a very driven, emotionally-charged character. I don’t know exactly when I’ll dEbut it, but I’ve already started working on certain aspects of the cosplay, so it’ll definitely be this year. I’m really really excited about it. 4. Apart form Cosplay what other hobbies do you have? I doodle, and I like to karaoke, and I watch a lot of cartoons (mostly transformers). Most of my free time is spent gaming though. I hijacked the family PC a lot when I was a very small kid, and navigated DOS to play my parent’s video games. I recall Warcraft, and some super old Dune. As I got older I had my own games to play, which were Warcraft II and Starcraft and Kings Quest and things like that. And then there was Final Fantasy VII. And then the Elder Scrolls (Morrowind, imo, is still the best). I think I spent the most time gaming when I was in Secondary School. I basically played everything I could get my hands on, and I was reasonably good. And then tertiary education and work got a bit heavy, so I had to cut back on gaming time. Today, I only have time for a couple of games at a time. At the moment my beloved console (PS3) is dead, and I’m saving up for a PS4, so all my gaming’s on the PC. I’m still on Assassin’s Creed IV mostly, and the occasional L4D2 match. Sometimes I visit Skyrim. I think its common knowledge among my friends that I have a horrible phobia of beetles. The brown kind, those that blunder into the apartment at night and bump into walls, making disturbing clicking noises as they go. My immediate reaction upon beetle detection is to drop whatever it is I’m doing and flatten myself against the floor. This is sometimes accompanied by incessant screaming lol. On bad days I just grab whatever objects are in the vicinity and hurl them around. I don’t recall when this might have started, I just sort of grew up with a phobia of beetles, and it generalizes to anything that might look like a beetle in flight, like flying cockroaches, large bees, brown moths, etc… It’s definitely irrational and stupid, but then again it is a phobia. 7. Now what’s your most prized and treasured moment(s) ? Life is really hectic, and there’s always so much to do and so many people to answer to all the time, so I really treasure whatever alone time I have. I try to make it a point to free up an hour on week nights when I can just sit down on the couch with the dog, do absolutely nothing, and just relax. 8. Its 22 Feb 2022 now! Where you and what are you doing? At my desk, writing reports, reviewing case notes, waiting for my next (hopefully large) paycheck. c. Volunteer work at SPCA choose one or more and why ? I do snatches of reading here and there, like a chapter at a time, a few paragraphs on the bus, etc. I’m not in the habit of sitting down and reading for a long stretch of time. I’d probably lose concentration after a while. My ladies nights out consist of eating and drinking, and then going home. (LOL) It sounds pretty boring, but I’m not at all into clubbing, it’s too stuffy and congested and noisy. I’m mildly agoraphobic, so I tend to avoid clubs and bars. I won’t say no to a whole night of KTV though! Finally, I don’t support the “work” that the SPCA does, so I will never ever volunteer. If I were to propose my own scenario though (and since volunteering at a shelter is a really good idea), I’d probably want to go with SOSD (Save our Street Dogs). They’re a really dedicated team of volunteers, and they do great work for local dogs. 10. Before I end, here’s the Ulti question… Bacon or Cheese you can choose one and why? Bacon. There is absolutely no substitute for meat. And especially not bacon, sinfully crispy, wonderfully browned, dripping with fat and grease fresh from the pan. Cheese ain’t got nothing on this. Thank you Rainer for your time and on behalf of the POPCulture Online team, we wish you well in your future endeavours. And for those who have yet to know her, do support her works over at her Facebook Page.